Summer’s official kickoff happens on Monday. 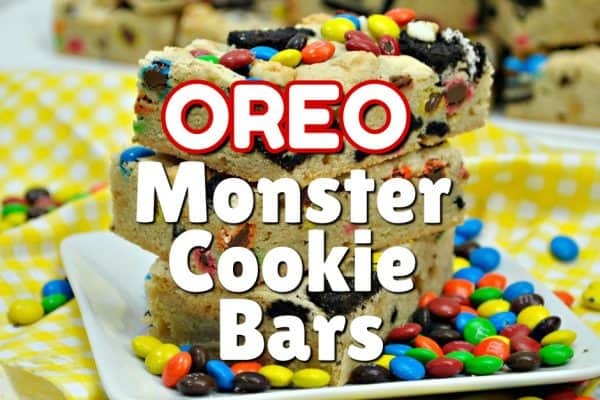 With summer comes warmer weather, cookouts, barbecues, different activities, and a whole lot of fun! Getting prepared ahead of time with these 10 Summer Essentials for Families can help you maximize your summertime funtime so you can spend more time relaxing. Kohls recently challenged me to find some summer essentials for families- not only did I have fun shopping, I was able to get a lot of what my family needed in a one stop trip! Is there anything worse than being too hot in summer because you’ve got the wrong clothes on? Comfortable clothes, fabrics that breathe, will make a big difference. Of course, fashionable is a bonus (and a must, if you ask my 9 year old…). There are so many brands that make clothes that are designed to wick moisture away from you, are made with breathable fabrics, and/or have sunscreen built into them, and those are things that I know make my own family happy when spending days outside in the summer. Ombre, bright colors and athletic wear are so popular with the kids in our area these days. My daughter was flipping (literally, she’s a gymnast) for this ombre racer tank and rainbow cloud compression shorts. She can wear these for gym workouts, a game of soccer, or just hanging out with friends. Also? I don’t know that I’ll ever get her OUT of these Metallic Thong Sandals. She loves them. Everything about them. Sparkles, metallic, thong sandals, no toe cover… colors… she’s a happy camper with these darling sandals. They are great for summer, go with almost every outfit, and are easy to kick off if she wants to run in the grass. For the younger members of the family, Minnie Mouse is all the rage (at least here!!) 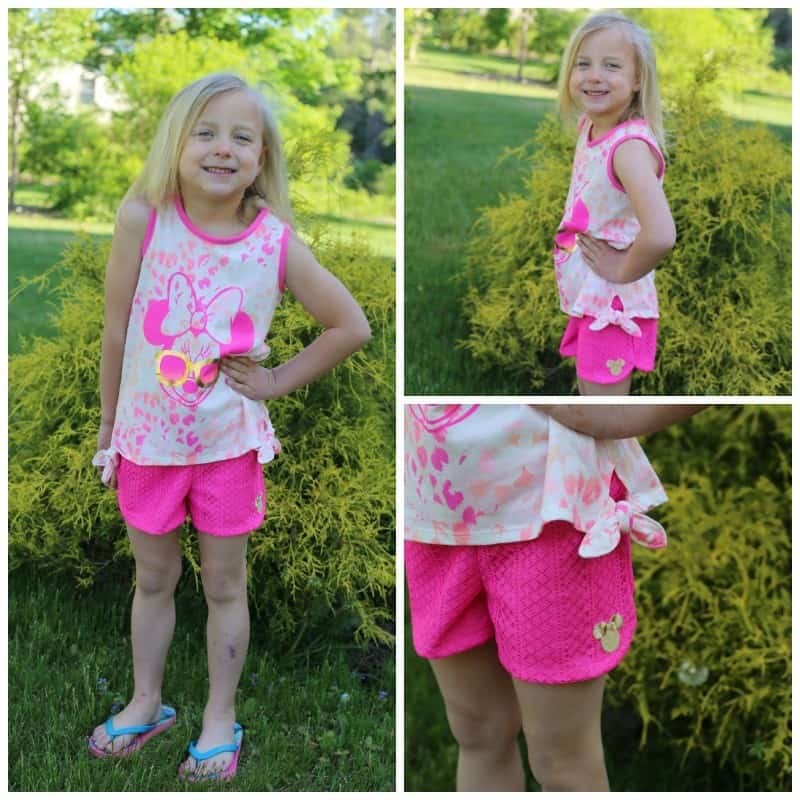 With fun texture to the crochet shorts and animal print on the Cheetah side tie tank, my daughter will wear this outfit every time it’s clean. It’s trendy, comfortable, but also has a beloved character friend and is perfect for a little one. Bath towels and beach/pool towels are not the same. 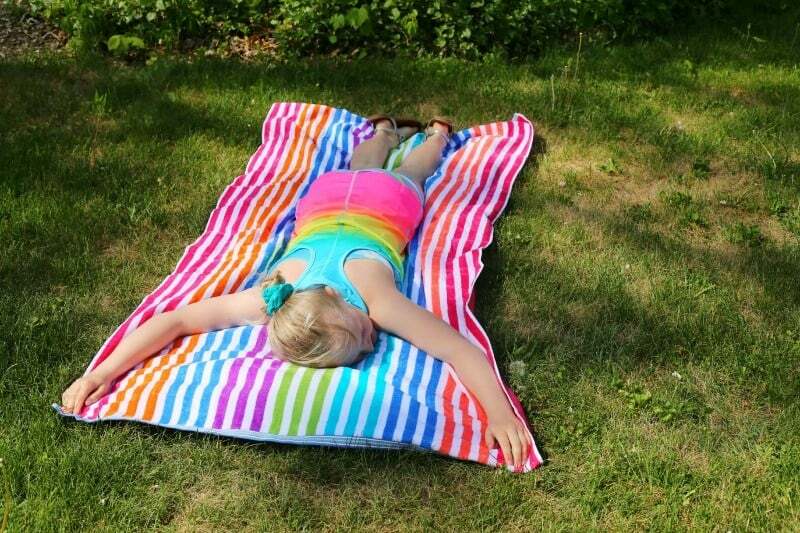 Get a nice, quality beach towel, and if you have kids? Get a nice BIG towel. I don’t think I’ve ever attempted to sit on my towel without one or three kids wanting to sit with me. Having a large beach towel (or several) that you can grab and head out the door with is a great thing- I actually finally bought myself a large towel *I* loved, because I’ve spent the last however many years making do with whatever ones we had that the kids weren’t using. I’m fully aware they’ll use this one, but at least it’s larger and we can share! Bug spray, bug bands, bug clip ons, bug candles, bug bombs for your yard- find something your family likes and keep it on hand. They say an ounce of prevention is worth a pound of cure. I’ll gladly wear bug spray if it means not being miserable with eleventy million bug bites later! 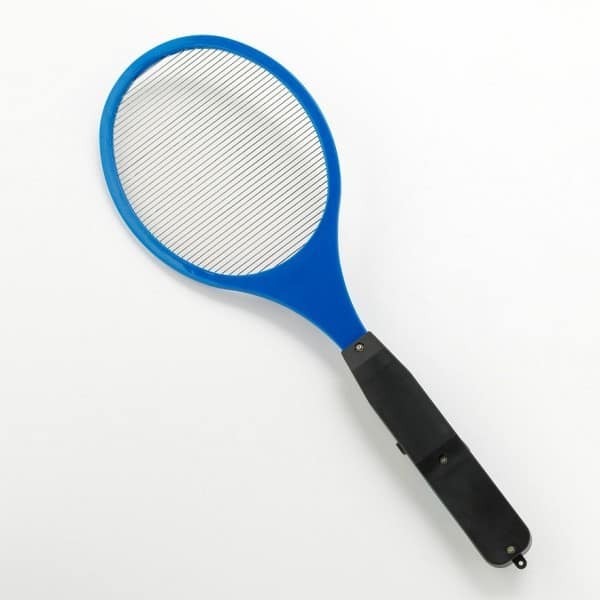 We also have one of the hand-held bug zappers that works quite well. It also doubles as stress relief. I will say these are NOT meant for children, I’ve touched it while it was on by accident and it’s not the most pleasant experience. 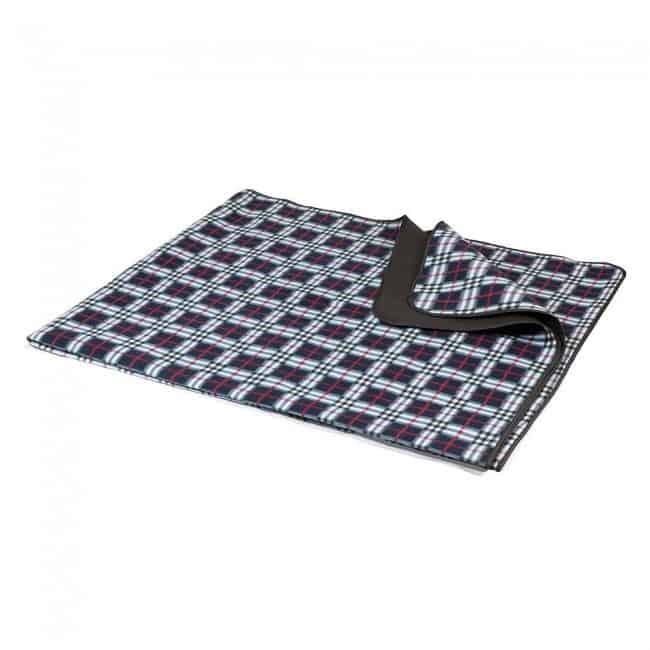 Even if you aren’t a regular picnic family, keep a nice, roomy picnic blanket on hand. Most that are available in stores have a built in tote or come with a tote to keep them easily portable. 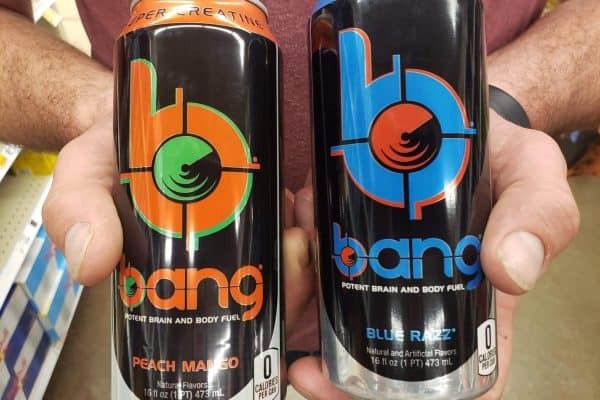 We keep one in the van, so if we’re at a BBQ or cookout, or pull off the road to watch some fireworks, we have it on hand and don’t have to sit on the ground. We also use it at the pool club for the kids to sit and play games on so their towels aren’t getting filthy all day long. 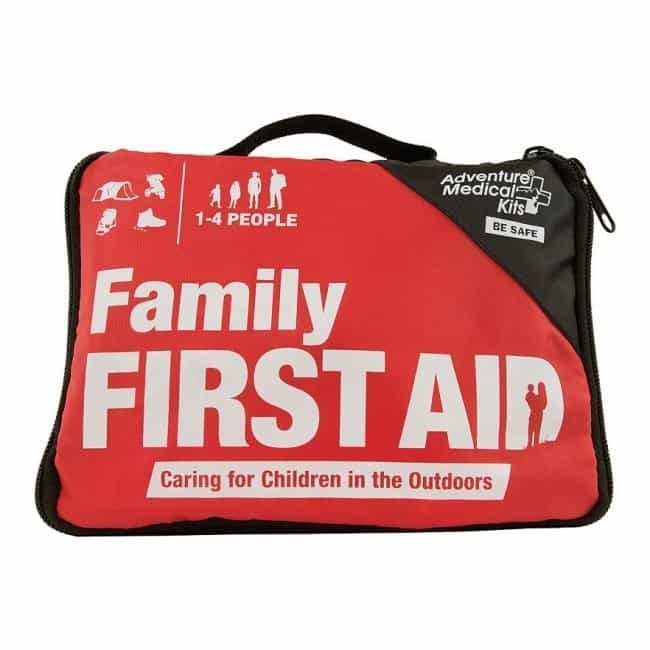 I’m sure your family already has a first aid kit on hand, but make sure it’s updated and has some kind of itch relief, tweezers for splinter removal, compression bandages, and a few ice packs. We also keep benzocaine swabs in ours for bee stings, and Benadryl for summertime use. I can’t tell you how much I teased my husband for insisting those be part of our first aid kit in the van. I also cannot tell you how many times I have “eaten crow” because a child got stung and we were the only ones who had any kind of relief for them. It’s a few dollars to spend, any maybe you’ll never use them, but it’s worth having. Outdoor family games like Croquet or Badminton are fun for the whole family and a way to enjoy one another’s company. They are a great way to unplug and get a little exercise too! 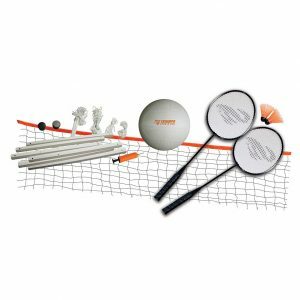 You can find a decent badminton/volleyball starter set for under $30- chances are, it’ll last for many years and give you many hours of fun…and memories. A croquet set will run a little more, but again, you’ll be using it for years to come and it’s a great activity for get togethers…or even just an evening activity after dinner. Our new croquet and badminton sets are en route to our house from Kohls now. Not staying home? We always try to keep a few little puzzle books, a deck of cards, etc with us when we’re out and about. Don’t underestimate the power of an old fashioned activity books. Coloring books, crossword puzzles, and other activity books can come in handy when children are stuck waiting for meals at a restaurant, flights or on a long car ride. We have also gotten ourselves a few travel game editions of games we enjoy to tuck into our beach bag and travel bags. Summer= sun=everyone needs protection from the sun. A hat that’s comfortable that you like to wear is one you’ll continue to wear. A hat that’s not comfortable or you don’t like the look of isn’t going to get worn as much…especially with the kiddos. Make it a fashionable sun hat, make it a cap with your fave sports team, just make it one you will wear! Especially on days when you are outside for long periods of time- grab those hats! 8. A fabulous beach tote! Even if you aren’t frequenting the beach, you will still get a lot of miles with a fab beach tote. Keep it stocked with these few simple items and you’ll be ready to grab and go on the next sunny day. Having one dedicated tote for outings helps me to remember where to put things. 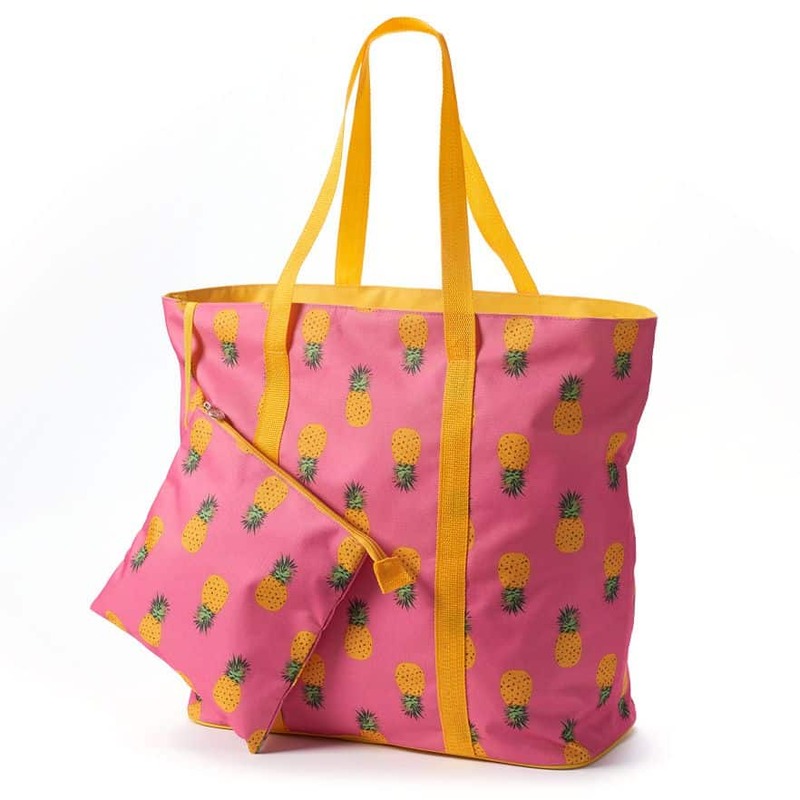 My adorable pineapple beach tote is on it’s way to my house as I write this! With summer and nice weather comes even more need for hydration. 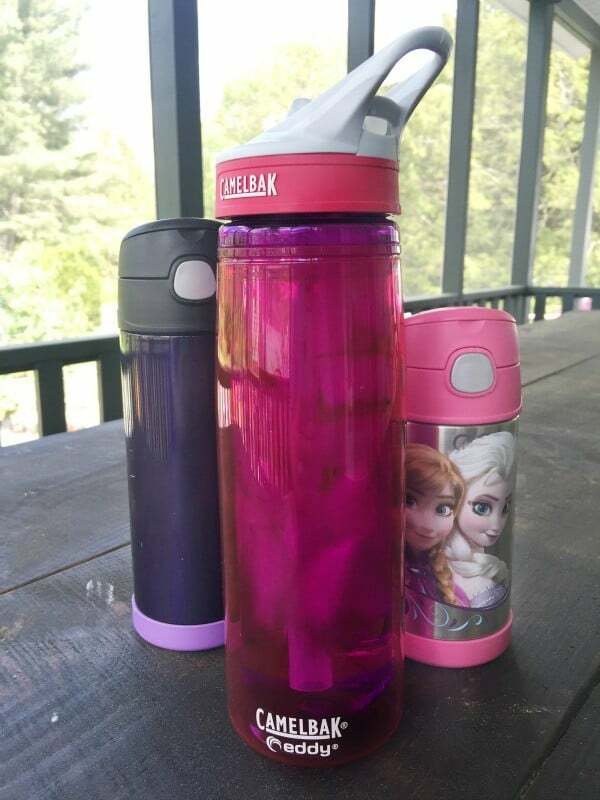 Grab a fun water bottle that you like- especially with the kids, I find they are far more likely to grab their water bottle by choice if their favorite characters/colors/teams are on them. I know even for me, I tend to still reach for the fun colors at 41. Whatever it takes! I guess I saved the biggest for last. The best accessory you can have on hand for your family is sunscreen. We try to get into the habit early in the spring of putting sunscreen on before the kids get dressed, and reapplying frequently when we are outdoors. Sometimes, you just need a little fun. I got this Single-Serve Ice Shaver machine so we can make sno cones all summer, whenever we want them! I haven’t told the kids nor shown them, I’ll keep it hidden until the last day of school (June 16! ), but it’ll make for lots of fun, I am sure. 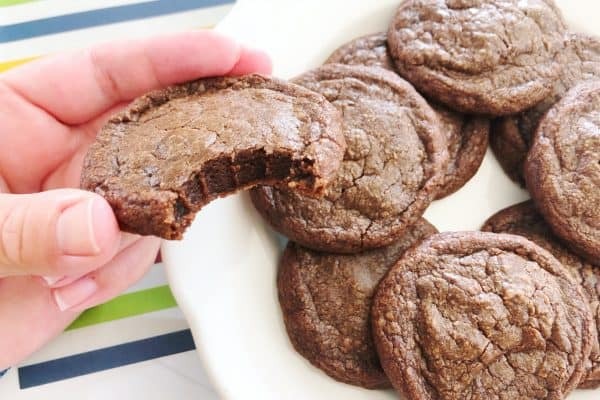 These also make for a really fun family gift or hostess gift! 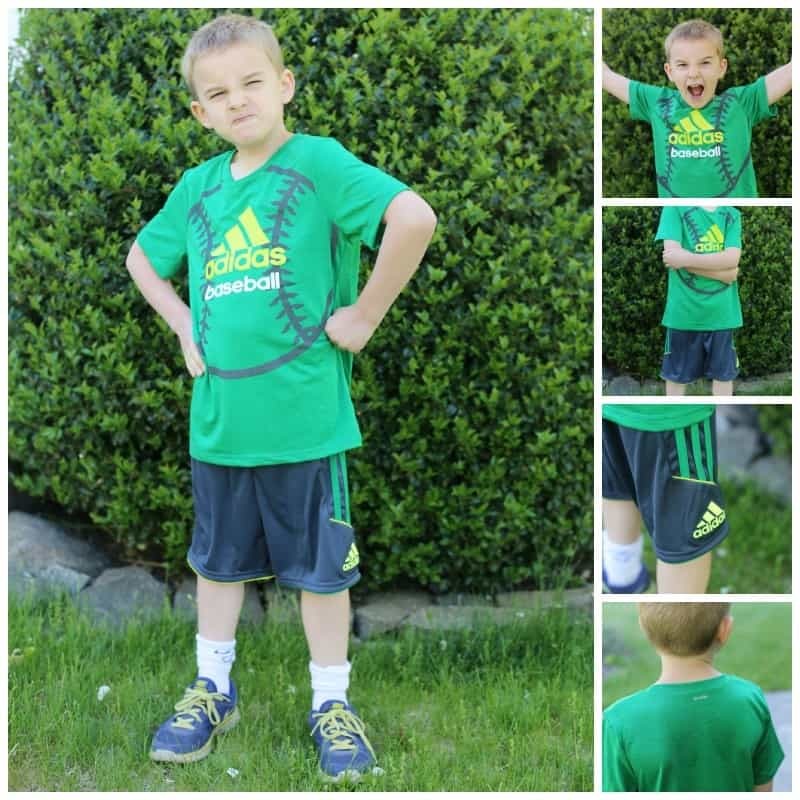 Thanks to Kohls for sponsoring today’s post, and for inspiring me to have a little pre-summer fun! I totally agree with all your essentials plus sun screen and a spray bottle of water for me!! This is a great list! With a big family, we definitely need comfortable clothes and towels. But to carry lots of towels, we need a good sized beach bag! Hope you have a great summer girl. I love that beach tote! I definitely need something that can carry our towels, phones and wallets. What a fabulous list! I agree, the sno-cone machine is a great idea! 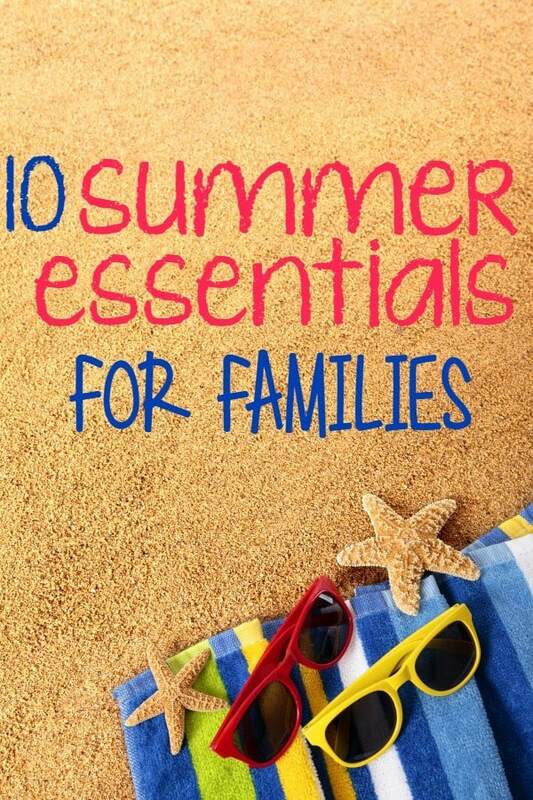 These are great Summer Essentials for the family, I really enjoy the list and I so need a summer hat like the one you shared for this year. My daughter and I were checking some out recently but didn’t make a purchase. Yep, I think you covered them! Especially the comfy clothes. I’m always telling her to get breathable fabrics. What a fantastic assortment of stuff for summer! You’re all prepared (of course, there’s always room for more items and clothing, right?). The bug spray is certainly a must in our area. Great suggestions for making an outing better are always good to find. This is a great list of summer essentials. I will have to stock up on bug spray and sun screen. 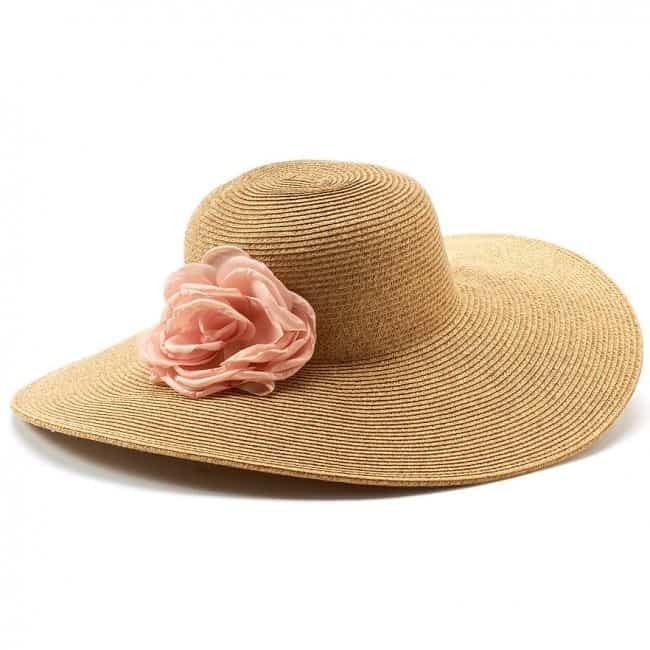 I just bought myself a nice summer hat. I’m glad you said sunscreen. Very important and I am bad about remembering to bring it. Great list of essentials! Most definitely needed for a great summer . We are so ready for summer its been really chilly and icky weather where we are! These are awesome summer essentials. 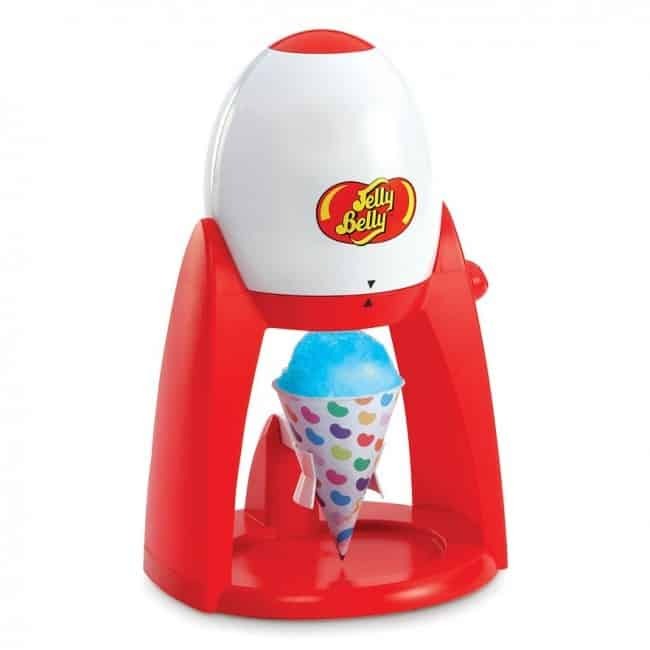 I agree, sometimes you need something silly and fun like a sno cone maker! Those are great ideas for what to make sure I’ve got on hand before summer starts. I seriously can’t wait! These are all great family Summer essentials! I’m in love with those metallic sandals! They’re so pretty! A great list. That beach towel looks awesome… hopefully it stays “yours” and the kids don’t stake claim for it. lol The bug zapper looks interesting, will have to check into that more. The fashion in this post is amazing! I love the ombre clothing I am trying to incoporate that style in my own summer wardrobe! Yes! These are all perfect ideas. I absolutely love the kids’ clothes and shoes. So cute! I don’t see how anyone can’t be ready for a good time this summer with this line up. My husband would love to have that snowcone maker for sure. This is a great round up of things to have for summer to be prepared. Thanks for ensuring we are fully prepared. A sturdy beach bag is a must for us. We live at the beach in the summer and need to have a good bad to tote all of our beach essentials in effortlessly. Totally agreeing with sparkly thong sandals. Do they make those in adult sizes too? Cute list! This is a great list of essentials and the little fun stuff is too important to be left off. Plenty of frozen treats and must see movies would be on our essentials list this summer. These are all great ideas. I need a new sun hat! I am slowly getting everything we need gathered for our summer vacation with the Grandkids. We will have a full truck when we head to the beach this summer. Comfy clothes and first aid kits are necessities around here! We’re all stocked up for summer already and ready for the rains to move out. A nice set of summer clothes is definitely on my list. Outdoor games are definitely a must as well. Ohh, I want to make snow cones now!! We love shopping at Kohl’s for summer essentials, especially clothing. How fun!!! I want that snow cone maker! Living in AZ, ice pops and snow cones are a daily must-have! Every member of our family has a camelbak water bottle and it’s saved SOOOO much money is stupid throwaway bottles! We also bought a few tank tops for our son (I hate the look, but it keeps him cool in GA) for the summer heat. We have our summer kit packed and ready. Sometimes, we just pick up and go out for the day when it’s nice. It’s so much fun! We’re all stocked up and ready for summer here in our house. Bring on the nice weather.